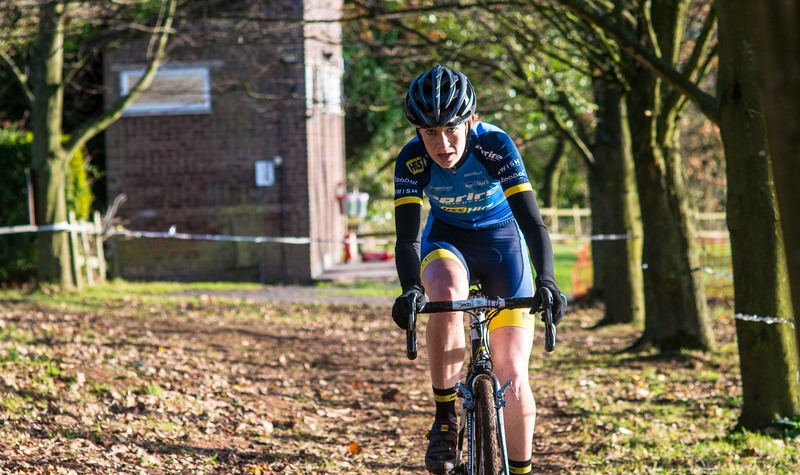 Robert Burns and Lauren Humphreys took their maiden wins of the Ridley Lazer West Midlands Cyclo-Cross league at round nine. After both podiuming in previous rounds Burns stretched out an unassailable margin in a hotly contested men’s event while Humphreys dominated the women’s race. Meanwhile veterans Darren Atkins and Stephen Knight added further victories to their category tallies. 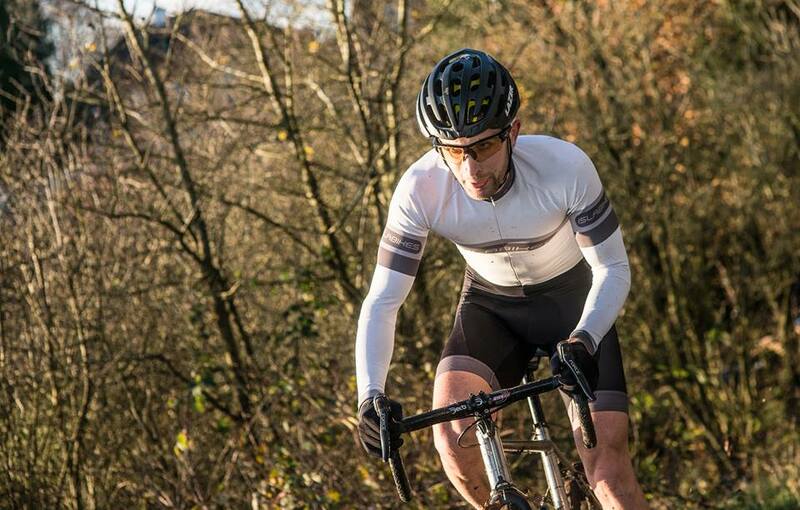 Blackwell Court in Bromsgrove was the venue for the latest round of the series with riders taking on a mixture of twisty woodland section and an energy sapping climb. Burns, from Tipton, finished third in the sixth round in Dudley last month and has been consistently in the men’s top-10 throughout the series. 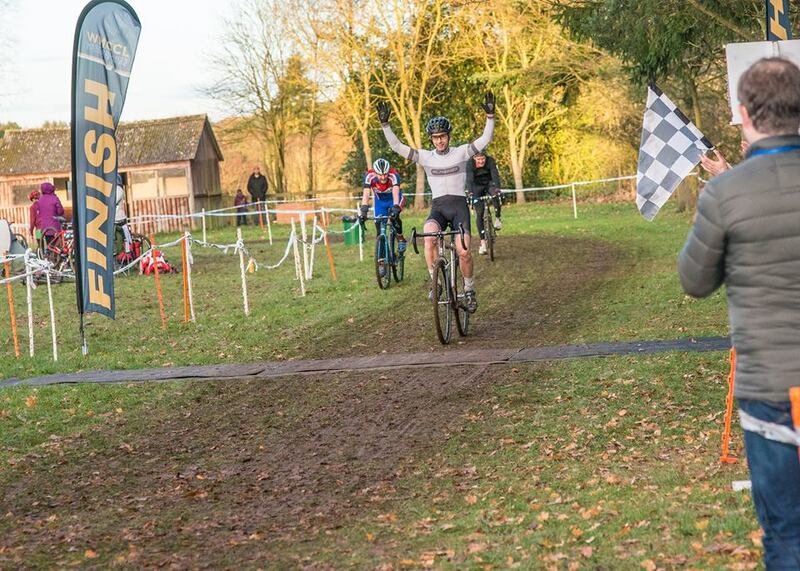 With his usual junior rivals competing in the National Trophy instead Burns took his opportunity to clinch victory. He was challenged until the later stage of the race by Stourbridge CC duo Thomas Payton and Anthony Neave. Just seconds separated the trio until three laps to go when Burns edged out an advantage which grew out to 43 seconds by the finish. Payton was kept on his toes by Neave with a constant gap of eight seconds separating the pairing on the last lap which was maintained to the finish. Henry Lloyd-Langston (Halesowen A&CC) was the fastest junior finishing in 11th overall. After missing the previous round Ride Coventry rider Atkins returned to the top step of the podium with his eighth victory of the series. Behind a close battle for second resulted in Nick Whitley (Chester RC) edging five seconds clear of Colin Miller (Ride Coventry) after being locked together throughout the race. Humphrey’s fast start in the women’s race saw her pull out an unassailable margin which she increased throughout the race. The Aspire Bicycles/HSS Hire rider had finished second to both Bethany Crumpton and Hannah Payton in previous rounds, who were both competing in the National Trophy. The Rugby-based rider had an 18 seconds advantage over veteran Karan Summers after the opening lap and increased it to a winning margin of 56 seconds. Summers road strongly to seal second despite a strong finish by under-23 Melissa Baker. Fastest junior woman was Annie Lindsay (Redditch Road & Path CC). “It was a really good event and the course suited me with it being more of a power course and those really draggy hills,” said Humphreys. “I just liked the power start and getting the power down on the long climb which really suited me and I made up time there by putting the power down. “I really enjoyed it and made a point of going hard from the start so I didn’t have any time to make up later in the event as normally I don’t start that well. “It was a little unexpected when I first looked around going through the finish and had a gap. I am kind of winding down and getting ready for the next road season. The most exciting finish of the day came in the veteran’s over-50 race where Knight, who had won all the previous eight rounds, met a tough opponent in the form of Tim Gould (Zepnat). Gould, who won several Mountain Bike World Cups in his younger years, also won the Quarry Cross event earlier this month. The pairing went head-to-head, and nothing could separate them after 44 minutes of racing with Knight clinching the sprint for the line. Fastest over-60 Peter Harris (Pearce Cycles RT) led the rest of the veterans home for third overall. Taylor Carr (Lichfield City CC) clinched his first win of the series in the youth event dominating from start to finish. He was chased by Owen Lightfoot (Bourne Wheelers) while Ryan Greaves (Mid Shropshire Whls) led the rest of the pack home in third. Despite starting a minute behind the older riders fastest under-14 Alex Barker (Halesowen A&CC) road up into seventh overall. Isla Mason (Redditch Road & Path CC) made it three wins on the bounce in the under-16 girls after leading from the start ahead of fastest under-14 girl Isla Blain (Halesowen A&CC). Spencer Corder (Stratford CC) kept his 100 per cent league record in tact by winning the under-12 boys’ event while Tia Carr (Lichfield City CC) was fastest girl. In the under-10s George Cooper (Pines Cycles Enve) took victory after leading from the start while Rose Lewis (Halesowen A&CC) was quickest girl. Louis Inman (Bolsover & District CC) continued his good form by winning the under-eights with Stephanie Hopkins adding another category victory for Halesowen A&CC. Finally, Harry Donald (LFCC) won the under-six age category while Millie Barton (Mid Shropshire Whls) was fastest girl.